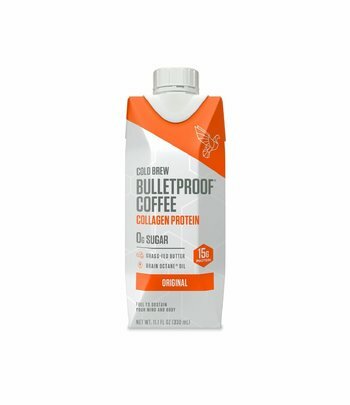 Bulletproof Cold Brew Collagen is cold-brewed, ready-to-go Bulletproof coffee with grass butter, MCT8 oil, and collagen protein. 12 packets of 330 mL. Cold brew means that the coffee is made using cold water. Because this method requires that the coffee is steeped for 12 hours or more, it contains more caffeine than coffee made with hot water. 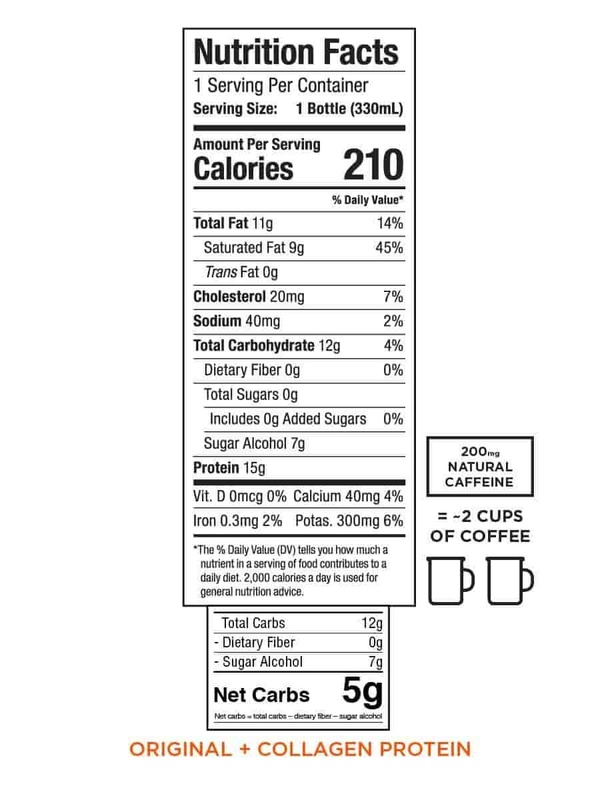 The coffee is made from high-quality coffee beans (tested for contamination of toxins made by fungi). Butter from grass-fed cows and MCT8 oil contain healthy fats that provide long-lasting energy. 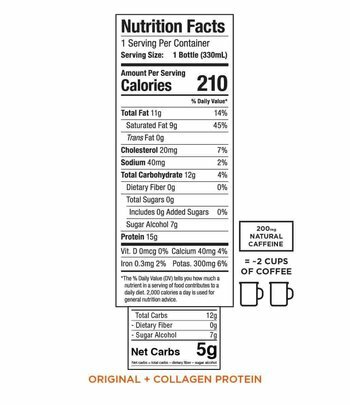 The collagen protein is sourced from grass-fed cows. The combination of fats and proteins keeps you satiated for longer. 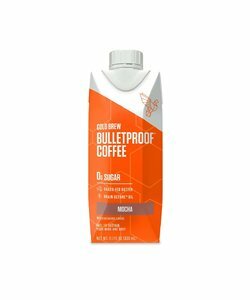 Lightly sweetened using the natural sweeteners monk fruit extract and erythritol. 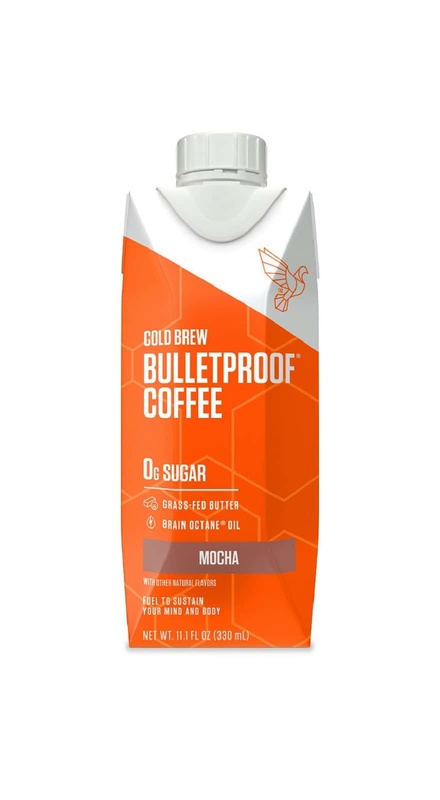 Bulletproof Cold Brew Collagen coffee can be consumed straight from the packet. Convenient for travel or when you are in a hurry. You don't have to store Bulletproof Cold Brew Collagen coffee refrigerated, but it does taste best chilled! Other Bulletproof Cold Brew variants are available: Bulletproof Cold Brew Original, Bulletproof Cold Brew Mocha, and Bulletproof Cold Brew Vanilla. 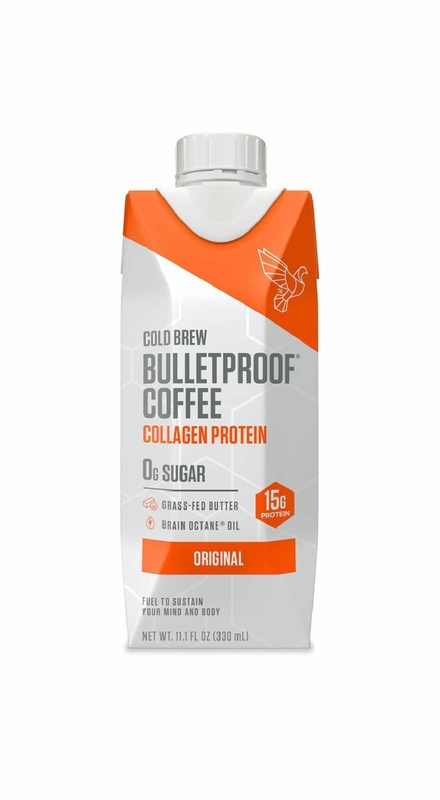 Each package of Bulletproof Cold Brew Collagen contains 12 packets of 330 ml each. 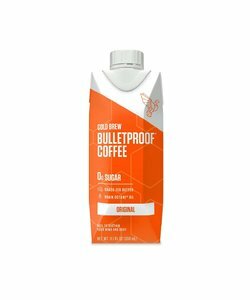 Ingredients: (cold-brewed) coffee, collagen hydrolysate (grass-fed), Brain Octane oil (caprylic acid triglycerides from highly refined coconut oil), butter (grass-fed), erythritol (sweetener), gum acacia (emulator), gellan gum (emulator), natural flavours, organic quillaja extract, monk fruit (luo han guo fruit) extract.